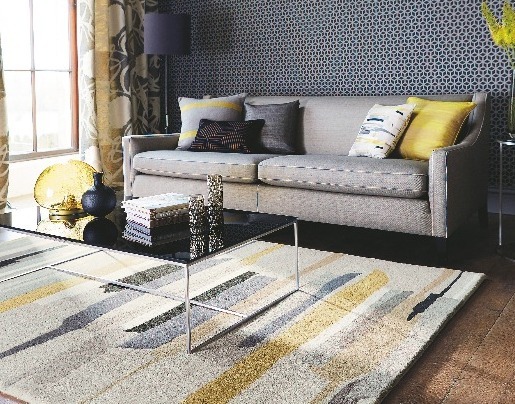 At Floor Depot Chesterfield, we are proud to have the largest selection of rugs on display in the area. Let us transform your home with a beautiful rug. Rugs are an easy way to transform a room, as a less expensive alternative to carpeting, or an eye-catching feature on wooden flooring. Whether you desire something thick and luxurious, minimalist and modern, or handwoven and intricate, Floor Depot is the perfect place to discover your new feature. We stock numerous varieties of rug, that are often difficult to otherwise locate. Stocking traditional patterns at non-traditional prices, Persian-style medallion designs, water resistant materials for outdoors and kitchens and even unique photo-printed rugs, we aim to provide for all our customers' needs. Floor Depot rugs are all high-quality, and we stock trusted rug brands, including: Asiatic, Flair, Mastercraft and Plantation.